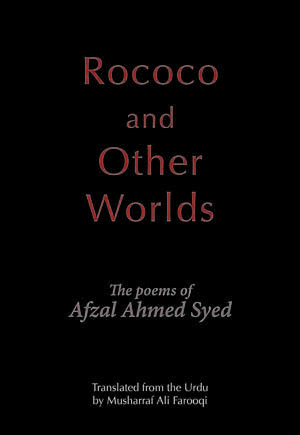 One reads Afzal Ahmed Syed’s poems first with disbelief, and then with more disbelief. He lives in Karachi, but it could as well have been Cracow. He is very much of his time and place, but the poetic traditions he taps into could be from anywhere, which is perhaps why he is not better known in the subcontinent. He constantly reminds us of the things we have forgotten or would prefer to forget, and makes certain that, once reminded, we do not forget them again. Of ‘Our National Tree’, the acacia, he says that it is not classified as a tree because, among other reasons, there are no corpses hanging from it. In our countries where history, and sometimes the evidence of our very eyes, is being constantly faked or overwritten, it is the poets we must turn to for an unfalsified picture. The dreamers become our true chroniclers and classifiers. Afzal Ahmed Syed, who is an entomologist by training, is one of the truest.